Before the explosion of social media and SEO marketing, sending promotional emails to clients was one of the best ways to get the word across. 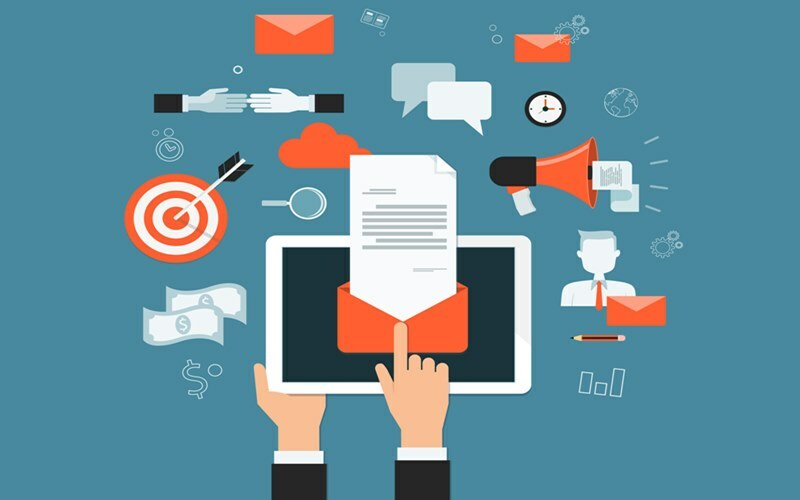 Even today, email marketing is still very relevant and sending content directly to a potential customer’s inbox is still one of the best ways to get their attention. Maintaining a healthy email list for marketing can be a mammoth task. No matter how and where one sources their email addresses, there’s a chance that it might lead to an account that’s either no longer in use or being used as an account that’s set up for the express purpose of directing promotional emails. According to research, the email marketing lists degenerates by about 22% every year. For a marketing professional, it’s very important to maintain a fresh, active email list and keep adding new addresses to it. Here are some ways to do it. A large percentage of promotional emails sent out to potential customers are either simply ignored or deleted on sight before anyone even glances at the content. It is very important to keep the content fresh and intriguing. An attractive, attention grabbing subject line should catalyse people to click on the mail and not just ignore it at first glance. Good, vibrant graphics in the email would sustain their attention enough for them to read the content. If the content itself is well written and interesting, it is very likely that the recipient would respond positively and look forward to more content in the future. Drawing attention with a bait of new, interesting content is a very effective marketing strategy. Providing fresh offers like discounts or access to restriction content or even ebooks can draw interest. Creating online tools like a currency converter or something similar which would be accessed only by listing the email can be a great way to source email addresses. Prompting people to share the content with their social and professional circle is a great way to source email addresses. By including ‘Email to a Friend’ in the content or sharing buttons for Facebook and Twitter, a marketing professional is likely to get more contacts. Creating share-worthy content is a must. A specific subject that’s interesting and could be shared with likeminded people is a great way to spread the word around and get more contacts. Different people have different interests and having content that specifically targets their interest is a good way to encourage people to subscribe. The best way to go about it is to create different categories or subscription. A subscriber may opt for one or two topics that they’re particularly interested in. The recipients of specifically targeted emails are more likely to click on them and read the content. Use a Facebook page to promote offers and freebies that might require an email subscription. Use Twitter to start a campaign promoting a specific ebook or a website or even a contest which would require sign-in. Similarly, one can use other social networking sites like Pinterest and LinkedIn. People generally respond better to visual media than to simple written content. Here YouTube comes in handy. Create interesting and note-worthy videos that are more likely to be shared or even go viral. Add links and calls-to-action in your videos that would offer free content or service on a simple sign-up. Posting links and calls-to-action in a partner’s websites is an effective way to get new contacts. One can run promotion campaigns and offer newsletter sign-ups. Another way of promoting your company is to involve yourself in co-marketing. Offering sign up letters and promotional brochures at different events and occasions off-line before getting them added to a database works well. Offering people free online content like access to exclusive previews or papers will draw their attention. Email marketing is a lot about being persistent with your efforts and ensuring that you are in touch with existing as well as potential customers.